Let’s start with a fundamental question: How are posts shared? It’s not the blog post, tool, or resource that gets shared. That might be what motivates the person who is sharing it, but all that ends up getting shared is the headline. The headline is what you share with your subscribers, it’s what people see in search results, and it’s what gets passed around. It doesn’t take a genius to figure out that a good headline is going to help your traffic prospects. What’s less obvious is that sometimes the best way to come up with an idea is to start with the headline. Here’s why: If you start with the resource, you might end up putting a lot of time into it before you realize that there’s no way to summarize it with an irresistible headline. This is a lot like the death sentence most products face if they don’t have an “elevator pitch” on which to build. Headlines with 8 words do 21% better than average. Using a hyphen or colon will add 9% to your CTR. Thumbnails and images boost clicks by 27%, so use them on every platform you can. List posts tend to do better. They do even better if the number of list elements is odd instead of even. In fact, odd-numbered posts do 20 percent better than even-numbered posts. I suspect, however, that “10” is an exception to this rule. Headlines that end with a question mark do better according to this study. On top of that, a university study has also found that question headlines do better. They also discovered that question headlines did even better if they referenced the reader with “you” or “your,” as opposed to rhetorical questions or other types of questions. Headlines that end with three exclamation points get twice as many clicks as headlines with any other punctuation!!! Obviously, you can do this too much!!! You’ll start to lose your credibility after a while!!! But if you’re going to use an exclamation point, you might as well use three instead of one!!! What Do the Top Blogs Do? Startup Moon was looking at tech blogs, but some of the most successful posts used words like “kill,” “fear,” “dark,” “bleeding,” and “war.” It looks like violent language gets attention, even when the subject isn’t about violence at all. The negative spin on a post tends to do better. 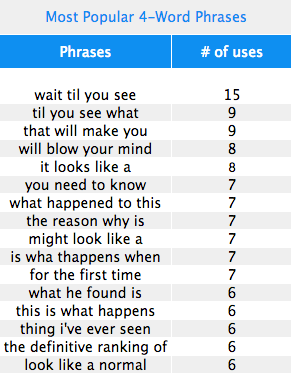 Words like “without,” “no,” and “stop” showed up in a lot of the top posts. A study by Outbrain reached a similar result. They found that the negative superlatives “never” and “worst” performed 30% better than average and 59% better than positive superlatives. I’d bet that this all comes down to the human bias called loss aversion. Even when the outcome is the same, we pay more attention when the outcome is framed as avoiding a loss instead of gaining something. Obviously, people like seeing numbers in headlines. But it’s not just list posts that do this. Numbers of any kind apparently add credibility to headlines by adding specificity. Bigger numbers also tend to do better because they make things sound more dramatic. Use digits to represent numbers, not words. Time units also help, probably because they indicate exactly how much time it will take to learn something new. Finally, it’s best if the headline starts with the number. Guides do very well. Using words like “introduction,” “beginner’s guide,” “in 5 minutes,” and “DIY” will help your CTR. Piggybacking on big brands and hot topics also helps, even when the articles are only using those brands or topics metaphorically to make a comparison with something very different. A few random words also seemed to help: smart, surprising, science, history, hacks/hacking/hackers, huge/big, critical. The study also found that these words seem to hurt: announcing, wins, celebrates, grows. Finally, if you want better headlines, your content needs to be built on a broader base of subjects and topics. This is where you look for inspiration from the top brands and widen your content strategy to include as many themes and ideas related to your industry as you can. Reference current trends, celebrities, and popular movies but with a unique spin on them. Inject headlines with curiosity. Elicit an interest, but don’t give it all away in the title. Use action words. This is backed up by Dan Zarrella’s research on Twitter click-through rates. 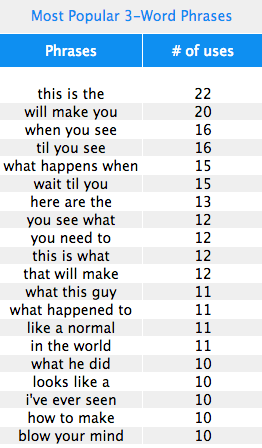 More adverbs and verbs will help CTR, while more nouns and adjectives will hurt it. We like to hear stories about things that are being done or learn how to do things. We don’t like stories about things just sitting there. 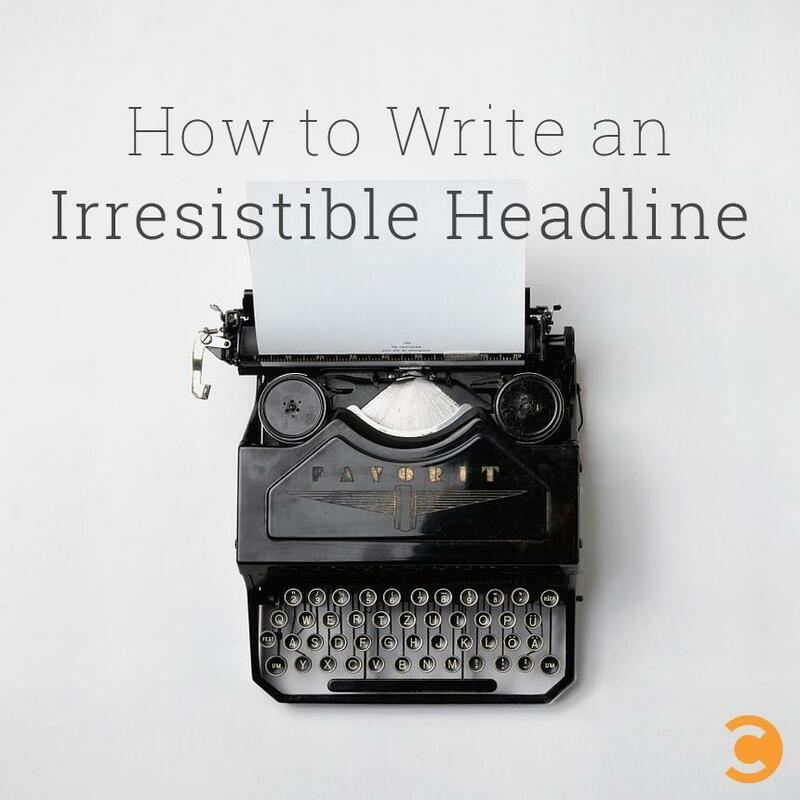 Write relatable, human headlines, and don’t get too formal. What If You Just Want to Sell? The business of writing headlines for landing pages is very different from the business of writing headlines for blog posts. With landing pages, you’re trying to capture the attention of people who are already looking for something specific. Clever headlines just force them to think harder about what you’re offering. With blog posts, on the other hand, you’re usually trying to elicit interest in a subject. Think carefully about which goal you’re trying to accomplish before you write your headline. (Tweet This) In fact, this will probably depend on the platform. You’ll usually want to write more creative headlines for platforms like Facebook and Twitter, while you will often want to use more straightforward headlines for paid search or email. It all comes down to the question of serendipitous discovery versus goal-oriented search.